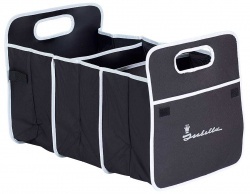 Introducing the Isabella Ambassador Seed, a 250cm deep awning. The Ambassador Seed has a modern design, in colours of Granite, Steel and Seed, with frosted lower window panels and a coated sane colour roof material to provide you with a soft warm environment. The Ambassador Seed is produced in Isabella's well known Isacryl 295g/m², their optimal durable, breathable, fibre-dyed acrylic material. The Ambassador Seed has a mosquito net in each side, with a zipped cover, providing a pleasant indoor climate on sunny days. 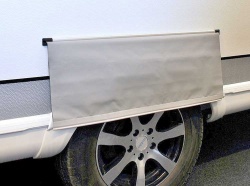 A range of optional extras are avaialable to enhance the awning even further. The awning is offered with two frame types. The Zinox frame is a steel frame with the 'T-rex' locking mechanism and the CarbonX frame is reinforced fibreglass that is lighter and uses Isabellas IsaFix locking mechanism. 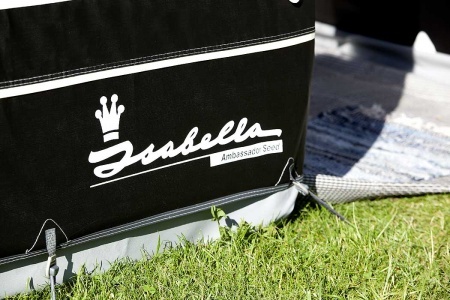 The Ambassador Seed awning from Isabella comes with a number of items as standard which include, a set of curtains, a wheel arch cover, draught skirt, veranda pole, FixOn, Typhoon storm sashes, awning bag, pole and peg bags and a peg remover. Panels: The front and side panels can be removed or folded down depending on your preference. 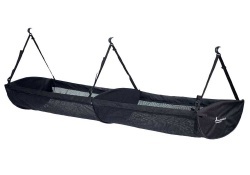 Mosiquito Net: Mosquito nets are provided in both sides. Canvas Material: Isacryl 295gm - Isacryl has the highest achievable fade-resistance thanks to the pigmentation method. The density of the weave plus the impregnation all the way through prevents water ingress. Nevertheless, Isacryl is a breathable material, which facilitates the best possible indoor climate in the awning. 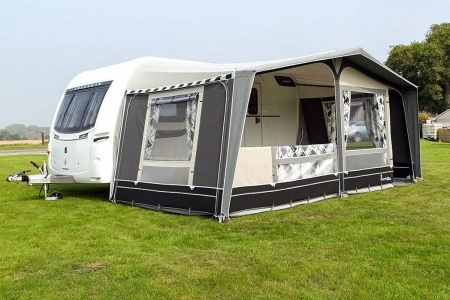 A carbon-fibre reinforced fibreglass frame, is suitable for both permanent and touring caravanning. Carbon Fibres are combined with glass fibres in varying amounts, according to pole diameters, to offer maximum strength. 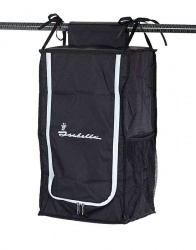 The frame is light and fully corrosion resistant. All CarbonX frames are supplied with the IsaFix locking mechanism. With IsaFix in place, keeping the frame in position is easy. With one press of the hand grip, a discreet 'click' tells you IsaFix is locked in position. The Zinox Steel Frame is hot galvanised both inside and out to extend its life and to meet all load bearing requirements. The steel frame is made of ISO-certified high-strength steel. 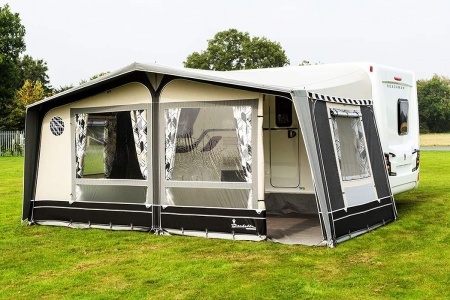 The strength of the Zinox steel frame makes it particularly suitable for pitching your caravan permanently - and it is included with all All-in-One and winter part awnings, because caravanning in the off-peak seasons demands geat structural stability due to weather conditions such as strong winds and snow. The Zinox MegaFrame is a durable tubular steel frame ( material thickness: 32mm / 1.2mm ) with welded corners and double screw lock on the poles. MegaFrame is designed for year-round use with a full awning which can remain standing all year and can withstand powerful storms, snowfall and torrential rain. 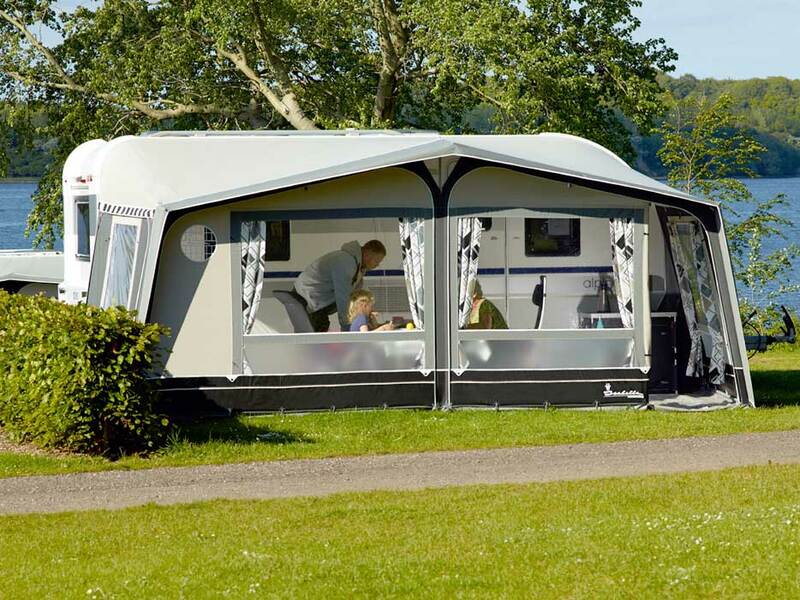 To find the correct size of awning for your caravan you need to find the 'A' measurement. 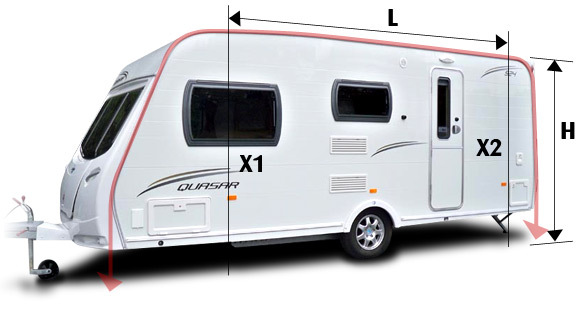 This is often given in handbooks by the manufacturer of the caravan, but if you cannot find the 'A' measurement then you can measure it yourself. Position the caravan on even, level ground. Measure from the ground level at a point directly below the awning rail at the front of the caravan to the ground level point directly below the awning rail at the rear of the caravan. You can do this quite easily using a piece of string or chord. This measurement will be the red line shown on the image. Generally, you do not use the 'A' measurement for porch awnings. Instead you will want the awning rail height from ground level - shown as 'H' on the diagram. Unlike the awning rail height which is a fixed dimension, the width of the awning - shown as 'L' on the diagram is variable. Some people do not like to fix an awning across a window as shown on the left hand side of the diagram, so they would probably buy an awning either with a smaller width or wider width if room permits. Essentially the choice is yours to make.